I have been teaching math for several years now and understand the need for a good foundation. I work with students to find any concepts they have missed or do not fully understand. My goal in teaching math is always comprehension not grades. After laying a good foundation, it is amazing to see the improvement and success my students have had! Benjamin delivers an exceptional lesson experience and ranks in the top 15% of our teachers nationwide. I have extensively studied vocal performance for many years and continue to add to my own technique. I have a Master of Vocal Performance Degree from the Chicago College of Performing Arts. I currently work for a recording studio (Sound Summit Studios in Naperville IL) where I teach voice and help singers record their music in the studio. I have previously taught at The School of Rock in Indianapolis Indiana. I have administered vocal lessons to every voice type at all different levels. Several of my students have recored albums and are currently performing all over the U.S. I have a bachelors degree in biology with a minor in art. After graduating college, I was a full-time high school biology teacher, volleyball coach, and director of the school musical. As a high school teacher, I learned first hand the kind of pressure and expectations that are placed on students in order for them to succeed. In college, I was the head student researcher on a two-year lab project. I took several upper level science courses including: biochemistry, calculus, organic chemistry, calculus based physics, cell biology, anatomy, and physiology. I studied marine biology in the Virgin Islands and am CPR certified. Voice lessons with me are fun and effective. You can expect to hear improved technique from day one, eventually reaching your long term goals. I begin every lesson aligning the students voice through various vocal warm ups and exercises. We then work together to pick repertoire that will suit the singer's voice and they will enjoy singing. During a lesson we will also cover performance presentation, acting, diction, rhythm, musicality, style, and interpretation. During tutoring you can expect a personalized plan based on your goals and aspirations. Since every student is different you can be assured we will come up with a plan that is designed just for you. I am a laid back tutor but will be sure to get the most out of you after our time together. Most students see at least a one letter grade improvement. My main goal for every tutoring session is student learning and comprehension. I specialize in helping students find their true singing voice. I performed the roles Jeff Douglas in Brigadoon and Pong Cover in Turandot. I teach voice and collaborate with other teachers of piano, guitar, and songwriting to help guide the next generation of musicians. It takes a village to raise an artist, and at BAWS Studio we all work together to help each student succeed! I coach singers in the recording studio, to help them make the best recordings possible. 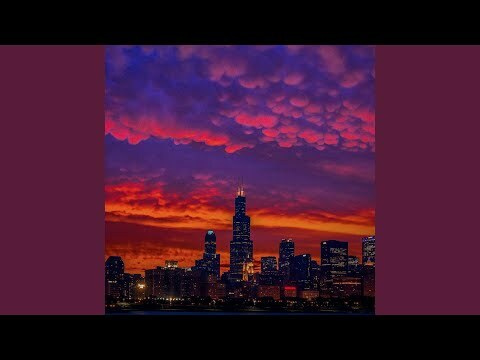 I teach voice lessons in Chicago Il. I sang the role of Camillo in the production of In Search of Desdemona. 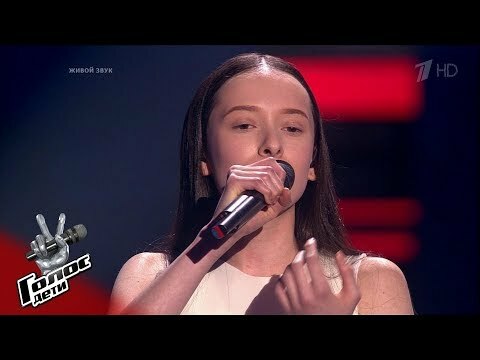 My student Eden Golan made to the finals of The Voice Russia Kids! 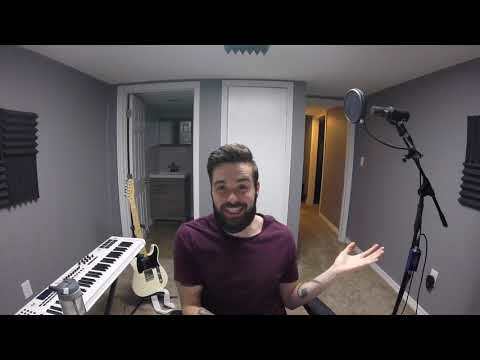 My online student, Taylor, talk about his transformation as a singer! I love singing with my good friend Joshua L.
My student, Daly, has a new EP coming out soon! My two best friends and I having some fun. Singing "Oh Rock of Ages" with friends. My Student Eden Golan will be in the finals of The Voice Russia Kids! Get a Free studio tshirt when you sign up for lessons! Stop by the music store on your way to my studio! My student Liam Kelly, lead singer of Daylight Sinners. 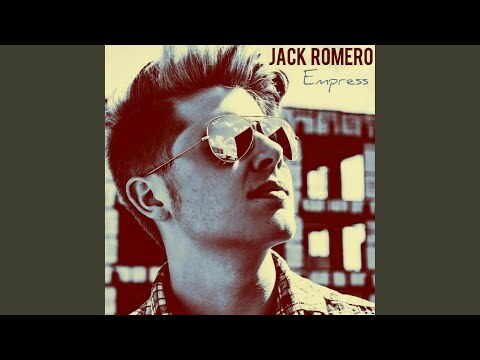 New Single off my student Jack Romero's EP. Helping Stella prepare for her school talent show! 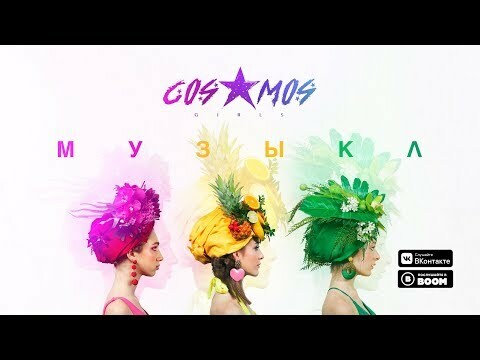 After making it to the finals of The Voice Russia, my student Eden joined the group COSMOS girls!!! 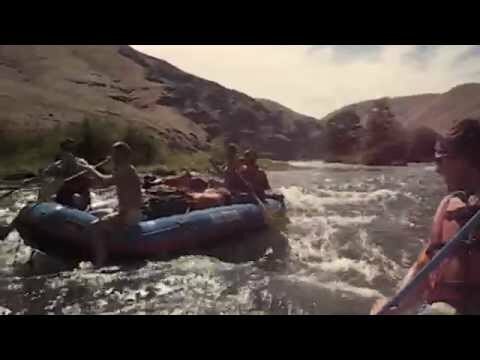 Here is there first single. 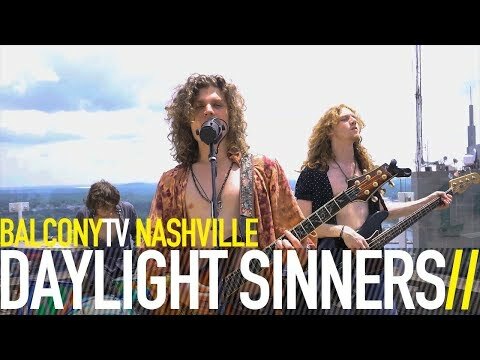 My student Liam Kelly is the lead singer of Daylight Sinners. Check them out. 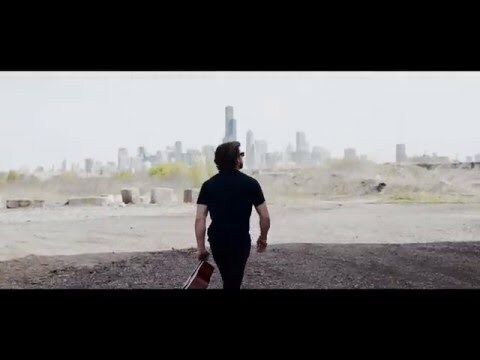 My student Liam Kelly promoting his new album and killin it!!!! Daly is such a fun singer to work with. 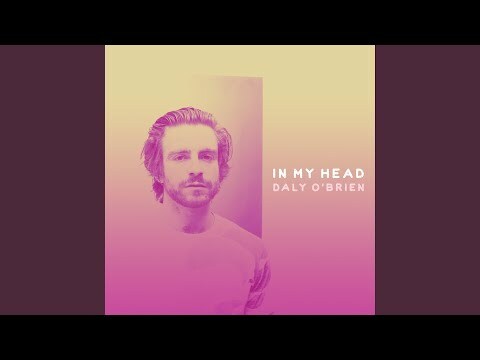 Check out his new single In My Head. Mackenzie's voice has so much soul. It always gives me chills in lessons. So proud of her! 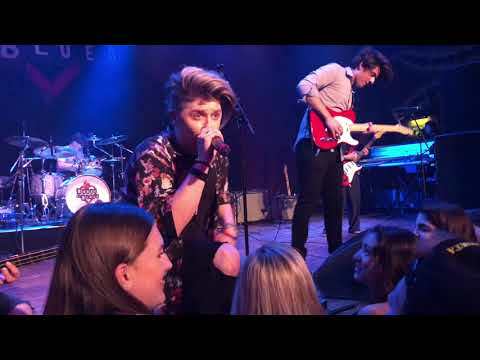 SO proud of my student Jack...He is a power house and headlined at the House of Blues!!! My daughter has had 3 lessons so far and so far so good :) She enjoys it very much and looking forward to many more. Benjamin is a great teacher and incredibly patient. Very fortunate to have found him. Wonderful first lesson and we got so much accomplished. I feel prepared to practice and start working through content. Great experience. Benjamin is a great instructor who knows his stuff, will make sure you get it right, and push you to be your best. Very passionate, helpful, and knowledgeable first lesson. Looking forward to more. Ben takes you right down to the lick-log with what he wants and expects from you. At the beginning I didn't appreciate the various directions he was taking me, like having to learn various chords, etc. on a keyboard. But I can see now that it is all coming together. Don't get the bighead, Ben, but it's all coming together now. I had my first lesson today and it was fantastic! He was friendly and very funny. Yeah. Benjamin is great. For years I struggled to find a teacher who taught in a way that I could understand and who knew how to teach the male voice. Terribly exciting today. Learned about (and played harmony notes on the piano.) Something I knew nothing about 2-3 wks. ago. Now starting to merge piano notes with musical harmony. First time in a couple weeks things are coming together. First, I had some previous singing lesson but did not really get to sing properly and my throat was always straining. Benjamin took me from the basic with breathing and how to correctly lean on the air. It took a little time, and now i feel so comfortable when I sing. My vocal resonance and control has really improved. I do not sing with my throat no more, I feel effortless and I control my intercoastal muscles very well. Benjamin is really Great, Patient and Understanding instructor. He has made to start loving and accepting my voice. I strongly recommend him to anyone who wants to learn the freedom of singing and how good it feels to sing your favorite songs at ease. Benjamin is a wonderful vocal teacher! I have been singing my entire life, and within the months I have been taking lessons from him I have seen a great amount of improvement in my vocal abilities. I highly recommend him whether you are new to singing or you have been singing for many years. This guy's killing me but I love him anyway. Never knew there was this much to really learning to sing. Thank the Lord for Ben's patience. He should be the instructor to any and every new client. Ben rocks. He helped me with my audition for Dear Evan Hansen and got me a callback! Super nice. Super knowledgeable. Super awesome. Super day today. Although we are moving into harder materials, seem to be getting more of the material right. Things are picking up now if I can just hold onto Ron's sanity---getting a little more itchie. Dynamite today......really practical lesson training my voice instead of learning to play the keyboard. (think I'll miss another week like I did last week so I can keep getting to the neat stuff---but I trust Ben's guidance). And he gave me a glimpse of where we are headed in the next couple weeks. GETTING EXCITING NOW !!!! Had a great session with Ben but I thought I signed up for singing lessons, not piano. Boy you can't beat this programming, you get---2-for-1. But wouldn't change off Ben for anything. But I am a LITTLE hurt...;. ;.I didn't get my face below---just as well, new students would wonder how I got into Take Lessons. Ben is absolutely amazing! He has an astonishing amount of knowledge and a way of explaining and teaching that makes sense to me in a way that no instructor has ever done. My personal goal, as impractical as it may seem, was to be able to sing with a healthy vibrato and by the end of our first 30 minute lesson, I was able to sing a note with a healthy vibrato. Something as simple as “feeling spinning a ping pong ball in the back of the throat” made me able to produce this beautiful and rich sound. This is a small first step but a huge achievement that I was not able to achieve with months of lessons with other instructors in the past. This gave me such a rewarding feeling and gave me so much ambition to practice and improve. Bravo Ben! Bravo! He was super helpful in helping me understand questions that I needed help with, and answered in depth. He explained everything really well. Ben has helped me tremendously over just a few lessons. Everything I thought I was supposed to do in order to sing properly was pretty much wrong. He is able to explain techniques very clearly in order for me to improve my singing voice. It has not been easy for me but he is very patient as well as demanding in order for me to reach my full potential. I have and will continue to recommend him to anybody looking to improve their voice. Excellent instructor! Very nice and professional attitude. He made a great contact with my 7 year old son which is very important when teaching the little ones...I am looking forward to next lessons. Great experience so far. I've learned a lot and it's nice to have a teacher who tries this find different ways to help you get better in what you do!!! Ben Is a great instructor. Worked with my Boy over the summer. I would highly recommend him. I experienced significant results after the first session. My vocal performance continues to improve and I'm doing things vocally I didn't think possible being 36 years old. Highly recommended vocal coach! First lesson went very well. Thank you! "Mr. Ben" is extremely patient and knowledgeable! I've had a few vocal teachers in my life and Ben is by far the best! He breaks everything down in a simple way so one can learn quickly. He has a deep understanding of the voice and how it works and in just a few lessons has shown me more than all my other vocal teachers combined! His studio setting is comfortable and welcoming and he gives you the tools to succeed and grow as a vocalist. Grew up singing and didn't keep up in college. Decided to find a voice teacher to help me get back into healthy vocal practices and work on creating a vocal sound more specific to my ideal genres. Benjamin has been an extremely effective teacher for me and quickly identified some of the more vital pain points in how I typically sing. This being particularly relieving as I have had many voice coaches in the past, but none were able to identify these issues and I have experienced dramatic improvements ever since. If you are someone who prefers more technical or more casual styles of learning, I have found that Benjamin is comfortable communicating concepts in both styles of teaching and adjusts as necessary. He is also extremely responsive to the aims of his students and actively contextualizes the work to those aims. Very diligent regarding practical matters; easy to work around personal schedules and is active in confirming/scheduling lessons with students. Would recommend him to students of all styles & experiences. Thanks for getting Trey motivated and organized! He's already learned so much in just three lessons! I could not be happier with my decision to take voice lessons with Ben! These past couple of months have been more beneficial to me than any of my previous experience with other teachers. I have already seen improvement in my voice and there is still so much I can learn. 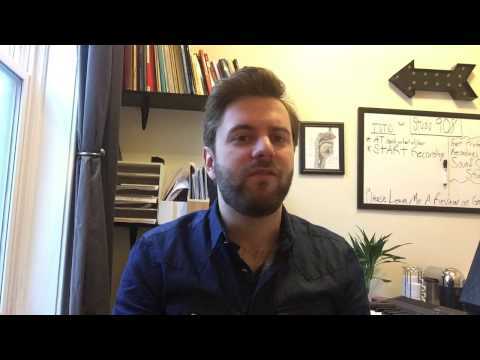 Ben works to improve the voice as a whole, rather than limiting it to one specific area. I would highly recommend him to those who are ready to put in the work necessary to get great results. I've never had vocal lessons before and my singing voice has never improved faster since I started lessons with Benjamin. He's a great teacher in many ways. His personal approach will take wherever you are as a singer to the next level. He will teach you not only proper techniques, control, and mindset of a singer; but he also teaches how to bring out your unique style and encourages your own personal expression. You can waste your whole life listening to voice techniques from YouTube, but if you don't have Benjamin then you'll never achieve what you imagine your voice can be. I have been taking lessons with Benjamin for 3 months. He is an excellent teacher. I have received little training in singing prior to Benjamin. He helps me find my voice and figure out how to sing in a correct way. I can feel I have made steady improvement within the past few months. He is very encouraging and always supportive of my growth. It is fun to work with him. I highly recommend him! Hi. 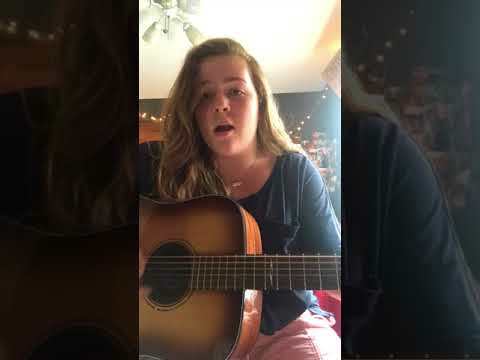 My daughter Eden is 13 years old and is a professional singer. I was looking for a vocal teacher that would be able to give my daughter new techniques to improve her high notes, expand her vocal range and know how to control her voice. My daughter has had only 6 lessons with Benjamin and I can already see huge improvement. Every single lesson Eden learns something new. Benjamin has a very unique way of teaching and explains everything in a very understandable way. I really recommend Benjamin as a vocal teacher because he already improved so much things in my daughters singing. Much better than previous instructors that I've had! Benjamin is great. He goes through a good amount of drills to help learn technique. He also has you record lessons so that you can go through them later. He's been able to explain things with a lot of detail so that I can visualize them and understand how to make my voice stronger. He's really helped me improve in a short amount of time. I've grown more from the couple of months I've worked with Benjamin than I have with any other instructor. He is truly a phenomenal teacher! He will make sure your technique is flawless. I've been taking lessons from Benjamin for about 6 weeks now, and it has been a great experience. He especially helped me prepare for a performance while I was battling a cold. He gave me useful techniques and advice on how to get through the sickness without hurting any of the mechanisms used in singing. Ben has great sight into the voice and from day one really helps you pin point the things you have to work on as a singer. Straight to the point and frank, he really helps you become self aware of your voice. having someone knowledgeable and critical listen to my singing has been a huge help and I've already seen a difference since the first lesson. He has a more in depth warm up/vocal exercise routine than what I'm used to, but if you stick with everything he says, you'll definitely notice improvements. As a singer/songwriter looking to improve my vocal chops, I needed to find someone that I could jump right in with and start improving right away. Benjamin provided me with a really comfortable environment and laid back teaching approach that has given me great confidence in myself as a performer. From the great, useful warmups to the very insightful critiques, Benjamin has taught me a lot about my own voice and what I have to work with. I've improved drastically over the last few months, and his suggestions and ideas about how to approach various singing techniques are without a doubt the reason why. I look forward to continuing my lessons with Benjamin, and I have very high hopes in myself as an artist after learning from him a great deal about what it takes to be a good singer! I've had a great time taking lessons with Benjamin. He knows what he's talking about and has been incredibly helpful. He's straight-forward, in a very good way, as he wants to get the most out of your voice a quickly as possible. Highly recommended! BK is a very gifted and influential instructor. Our lessons are tailored, not just to my needs as a customer, but more so to my abilities as a singer. I know as a student I can be very difficult to instruct at times some what distracting even but Benjamin keeps me focused, on pace and stretches me past my self imposed limits as a vocalist. After just one month some of my friends, professional performers , noticed growth in my vocal technique and one invited me to go on a gig with her to sing backup! Benjamin has been a real help in advancing vocal technique, just within three weeks he has helped me move from a standard level of singing to where I come out like an opera vocalist, that's my way of interpreting but he is a great teacher. Very patient and encouraging. He genuinely wants you to improve which I have done considerably since I've started with him. Great with Alexander Technique, serves freshly brewed tea at each lesson, and overall, a passionate, talented, and dedicated artist. Ben is fantastic! My two daughters really enjoyed his lessons. He has an amazing range though his vocal excercises seem inparticular he is a great teacher. He focuses on Falceto very much more than any other part of the voice which has helped a lot with widening my range. Benjamin has been a great singing instructor. He knows a tremendous amount and tailors vocal warm ups and lessons to my needs. He is very encouraging but gives no-nonsense critiques and advice to make you a better singer. I enjoy working with him and would recommend him to anyone looking to improve their voice. Ben is the man. Definitely cares about his students and does his best to see them succeed. He does a good job adapting his lessons to fit your style and context. I appreciate Bens honesty and hard work. As a worship leader who doesn't have much technique training, I'd definitely recommend Ben for any worship leader seeking to improve tone and stamina. I am a math/science nerd and do not have much experience in proper singing, less in stage performance. After reading Benjamin's profile, I was very positive that he had the right personality and teaching style suited for me. My guess was correct! I have enjoyed every single of the 10-15 lessons with him and look forward to many more. Teaching how to sing is much more than just giving instructions and demonstrating correct techniques. Even a YouTube video can do that. You hire a mentor so that he/she can criticize what you are doing wrong and create exercises customized to fix such malpractices. Benjamin has been doing exactly that. Additionally, he has been helping me improve on my stage etiquette, as well as performance skills. His sessions are also thoroughly entertaining, and he puts you under right amount of pressure, allowing you to be motivated without feeling embarrassed. I started as an amateur singer and planned to pursue singing as a hobby at best, but now I hope to turn singing into an avocation. 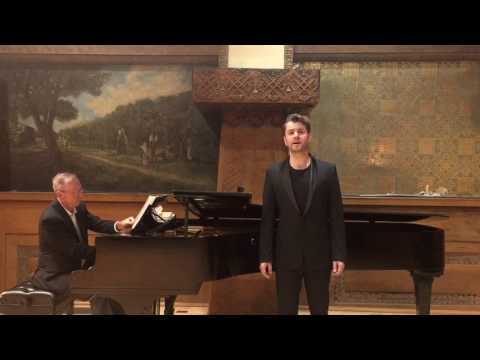 I am happy to recommend Benjamin to anyone looking for singing and stage performance lessons! Ben has been a fantastic voice coach to my two girls. He makes each lesson fun and yet very productive! Benjamin is very easy to follow yet very firm in his teachings. He's a knowledgeable and fun instructor. He's wonderful. Heseems to know exactly what to do next even when there are roadblocks. Patient, helpful, etc. First time I signed up my 5 year old for lessons and Ben has managed to incorporate a serious learning environment with a fun twist for her. At first I thought we were all in over our heads in this venture. But after getting used to the lessons I can see my daughter's learning and love for song will grow more every week. It's not what she initially invosioned in a singing class but I can see she'll realize the value of how singing is done. The lessons that I took with Benjamin were great! He taught me a lot - he was very helpful and very patient. He is a great teacher! Benjamin is my second instructor I have had on TakeLessons, I stopped with the first when I did not think it would be a good fit. I have only had two lessons and I can already see that Benjamin has high attention to detail and is very skilled. I want someone to teach me the fundamentals, point out my bad habits and teach me methods to correct them - no compromises. I am confident that Benjamin will get me on the right track and intend to continue on with him. Benjamin has improved my vocals beyond words. Within the first 2 months I increased my range by an octave more on my chest and head voice, dramatically increased my control, and learned how to sing with much less stress and tension then before. His teaching approach deals with logic and anatomy which resonates more to me then memorizing a million stupid little tricks like with my old teachers. I have Benjamin to thank for my dramatic increase in vocal sound and confidence. I will continue to take lessons with him until i run out of money! Ben is an excellent teacher! His experience and patience allow for a great experience no matter the student's experience. His lessons focus on the mechanics of singing and provide a concrete foundation on which to build your skills. I tried taking singing lessons before, but I always saw very little progress from them and would get so boring. Benjamin has done a great job! Not only lessons are entertaining and challenging but people around me are starting to notice that my singing is improving. You can tell he has a lot of experience and knowledge in the matter. He is also very versatile (we have sang from classical Italian music all the way to 80s hair rock music). I 100% recommend this teacher! Ben is great teacher my daughter really likes lessons with him. Ben is a great teacher and makes each lesson a valuable learning experience. I was able to notice improvements in my voice right away after just a couple of lessons. I highly recommend him! I have only had a few lessons with Benjamin so far, but I'm happy to say that each one was fun and educational. In past vocal trainings I focused on my chest voice, but Benjamin is helping me to discover and control my head voice in ways that I didn't think I could. At first I was worried I wouldn't find a teacher who could help me with college audition preparation, but sure enough, Benjamin went through the process and had plenty of great tips that I can use this coming year. I'm a 31 year old singer in a Indie Rock band called Readen Roark. I have had little to no training prior to practicing with Benjamin. I was looking for someone to help me find my voice and help me figure out how to actually sing. After many years of trying it on my own and listening to vocal dvds, I bit the bulllet and swallowed a little bit of my pride and found Benjamin through takelessons.com. I immediately found results as far as realizing how I WAS singing isn't suppose to be how I AM to sing. When you sing, the feeling should be somewhat easy. Ben is helping me find that spot and easiness. I am eager to see my improvement as time moves on. Not to mention Ben makes the lesson enjoyable and easy going. It is something I look forward to and hope to continue for a long time to come. I am even tempted to bring him some of my band embers and work with the band as a whole. When the next album is ready for vocals, I will definitely try to have him there. Highly recommended. Ben is a great teacher and great guy. Since I had a musical background and training, I was searching for a specific type of teacher that would help me improve my singing but in a specific style (singer-songwriter/r&b). Ben demonstrated a great deal of knowledge not only in technical instruction, but with the elements singers use in that specific style to be successful. That is not a skill everyone would have. He shows a thirst for learning more to make himself and his students better. I have already shown big improvements over a few months. So, if you are looking for a versatile teacher who cares a lot about seeing you improve, he's your guy. I'm totally new and Ben has been great guiding me along every step of the way and coaching me where I need work. Looking forward to the day I can carry a tune! I have never had any interest in singing beyond that which I do in my car, but I do now! I agreed to take a lesson from Ben purely to see what range of voice I had. I planned on taking only one lesson, simply for this reason. As Ben had me doing the exercises, I realized that I had quite a bit of potential I never even dreamed I would have. He unlocked things in my voice I never knew I had. I learnt so much from that one lesson and had such a truly fun time, I decided I would continue. I have taken six lessons now and I see huge improvements in my singing. When I sing for fun in the car, I now know how to "tame" my voice, I now understand the mechanics of singing styles and I understand how to breathe properly. Benjamin has been exemplary since day one. He's clear and concise in his explanations, well thought-out with his criticism, and always supportive of my growth. His technique is wonderful, and I noticed improvement in my singing after one lesson. After a month of lessons, I've increased my range and my tone significantly. I would highly recommend him for anyone in the Indianapolis area looking to become a better singer, whether they're new to singing or a pro. Ben is a PRO. Our lessons are the most fruitful I've ever taken. First, let me say that I have been studying voice for 15 years. I have performed on stage and in recital many times over the years. To prepare me for my performances I have had voice lesson teachers from the ages of 21-73 and this man leaves them all in a trail of musical pixie dust. I started taking lessons with Ben in January 2014 because I wanted to keep my voice in shape as I hadn't performed in over a year. (Use it or lose it!!!) Our lessons began with broadening my range (as an alto I always fear my upper register). After learning all the wonderful vocal exercises, we move on to repertoire. I brought him various pieces of broadway and secular music. There are a few that we go over just so I can learn specific ways to sing words so that the vowel is perfect and there are others that help me learn more of the Idina Menzel qualities I would like to discover in my own voice. When it came time for auditions, Ben helped me find new ways to perform an old piece that freshened and revived it! Every lesson I walk away with something new I have learned about my voice and about the art of music itself. Ben's passion for the human voice is evident in his teachings. Many of his reviews state his patience and professionalism and I agree. I feel so confident when I leave his studio! Whether you are looking to take voice lessons for the first time, or you are a seasoned performer, Ben's your guy. I've been singing my whole life, but Benjamin is the first instructor I've had and I'm really glad I decided to take lessons with him. I look forward to each lesson because I know I'm going to learn something new each time I do. He's very helpful, very knowledgeable, and gives great instructions on areas I need to improve on. I've only had a few lessons and I've learned so much. I feel grateful to have found a voice teacher this patient and fun to work with. I was also unsure how the lessons would be since I'm taking them online, but I feel like I'm getting just as much out of them as I would in person. I definitely recommend him to anyone! 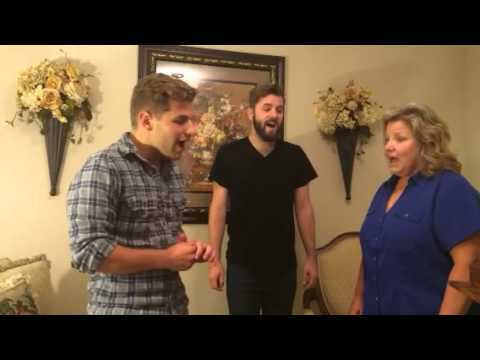 This is my first time taking voice lessons, so, as an adult, I was hesitant. Benjamin and I spoke briefly before my first lesson, and he assured me that my lack of experience was not a problem. I didn't necessarily believe him.. I've made HUGE improvements over the past few months. Through his instruction, I've unlocked so much more of my voice than when I first started singing with him. I'm shy and laugh a lot, so it was difficult for me to get comfortable with a few of the exercises. While taking the singing, breathing and improving my voice oh so seriously, we laugh and have fun which makes me feel a lot more comfortable. I would recommend Benjamin to anyone looking to learn to do anything as he is a great teacher. I already do recommend him to my friends for singing lessons. Ben is honest without being hurtful. He's patient, but not so relaxed you burn through your session without progress. After signing up on a whim, Ben has given me the reassurance that there's a talent I can discover in myself, and I recognize him as a great instructor who I'm fortunate to be able to work with. If you're considering learning to sing, or even sing professionally, Ben would be a great person to meet with, because he's got a keen ear and talent for explaining how you might make improvements. Ben is patient, very good at explaining techniques, and great at getting you down to basic. He was also very helpful in working with my hectic schedule. I highly recommend him. Ben is awesome. He takes whatever time is necessary to explain the intricacies of what he is teaching you. I very much appreciate that. Great teacher! Very helpful lesson. Mr. Benjamin is definitely a patient instructor. Even when I couldn't stop laughing at the practices, he waited it out and took his time in making sure I understood what I was doing. Helped me with all my math problems and helped me great, I for sure recommend Benjamin. Benjamin was extremely helpful. Thank you so much. It was a lot of fun working out the word problems with him. Great help! definitely understand the material better, everything was explained very well. Google helpouts are awesome! Ben explains everything in a way that I can understand it and is patient with me. Highly recommend him as an instructor for anyone! Take lessons has done it yet again they helped me with the confusing problems I had, they always have great tutors to help out this time I got Benjamin I wasn't disappointed with the help I got thanks a lot guys. Great lesson! I felt comfortable singing with Ben. He encouraged me throughout and offered feedback that will help me with my ability. You can definitely tell he has a lot of experience and knows what he is talking about. I recommend him to anyone! Today was the first singing lesson I have had in a number of years. I didn't realize it until my lesson with Ben, but my technique is way off. We even worked on the basics with breathing and scales. I was unaware that jaw movement could affect my ability to sing boldly, and I learned how to sing vowels without jaw movement to get better sound. Highly recommend him!! this teacher is a life saver ..
i really understood with him better than understanding from my teacher in school !! I always enjoy my time with Ben. He is eager to help me accomplish my goals by focusing on what I already do well and what I can improve on. His knowledge of how the voice works has really helped me to become a more confident singer. Highly recommend! Benjamin was a great instructor. He helped work on staggering my breath and focusing on vowels in the song to get a better sound. I enjoyed working with him and he was very easy to take a lesson with. He helped me greatly in just one lesson! Helped me with all my math problems and helped me great, I for sure reccomend Benjamain. Benjamin is very professional and pleasant to work with. He possess great knowledge about music and shares his talent with enthusiasm and brings out the best in his students. The open-minded attitude in imparting training in different languages or style that he brings to every aspect of his instruction is unique. We are glad to have him as a teacher for our children. We highly recommend him. Very expressive and vibrant person. Interactive teaching methods were used. Able to articulate well. Best lesson I have ever taken! This was by far the most helpful voice lesson I have ever taken! I have taken voice lessons with a couple other teachers but I learned more in an hour with Ben than most of those other lessons combined. Ben had a unique way of drawing on my strengths while giving me great visuals and tools to develop my weak areas. He was encouraging and very knowledgeable! I highly recommend taking a lesson with Ben! Excellent with the Tenor voice! I am a professional singer with a bachelors degree in Vocal Performance. I have heard a lot of different approaches to teaching voice but working with Ben always seems to teach me something new. He is very knowledgeable of the voice and provides excellent direction for steady improvement! I HIGHLY recommend him as a teacher! I graduated college with a degree in Vocal Performance. After a few months without voice lessons, for letting my voice recover from my senior recital I decided to step back into it. Ben has an ability to clearly communicate proper singing technique, while also explaining how the body works- so that the science behind the technique is understood. I would definitely recommend this teacher to a friend, and I will continue to see him regularly for lessons. Ben started out by teaching me voice lessons. Giving me helpful hints and techniques has made my voice better over the years. He is easy to understand and explains things very clearly. His character and patience along the way have been superior as I have been a tough project. Also very skilled in other areas! I am a contemporary singer trying to improve my technique. Working with Ben has been great because he is so knowledgable and produces fast results. After hearing me sing for the first time he was already able to tell what I was doing wrong and what I could work on to fix it. I would recommend Ben to anyone who wants to improve their singing technique. He will help you to sing higher and longer without straining your voice. Thanks Ben! 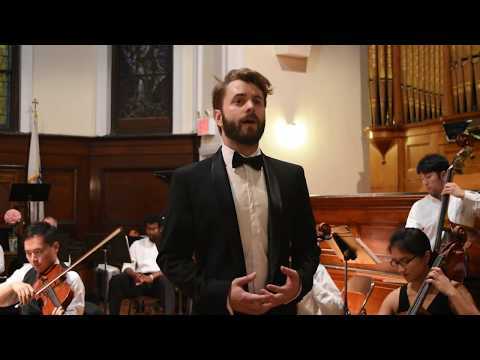 Ben Kawsky has an amazing gift for developing the voice from shrill animal sounds into a vocal orchestra! I highly recommend him.